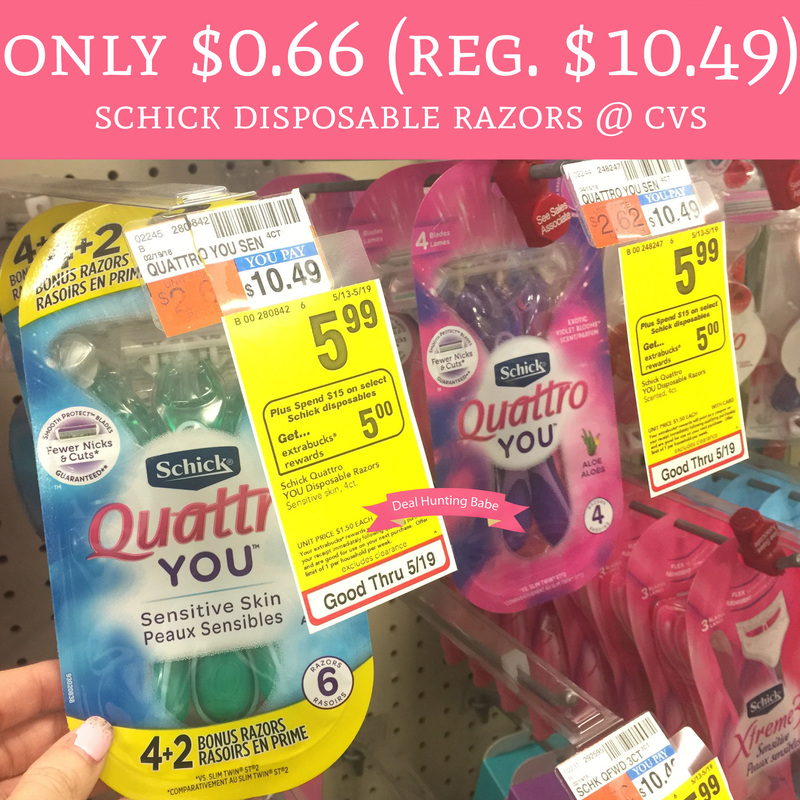 Through 5/19, CVS is currently offering Schick Disposable Razors on sale for just $5.99 and when you spend $15 you will receive $5 Extra Care Bucks. Plus, we have a new $4/1 Shick Disposable Razor coupon and a $3/1 Schick Disposable Razor coupon found in the 5/13 Smart Source insert making each pack just $0.66! Final price $1.97 or $0.66 each! !